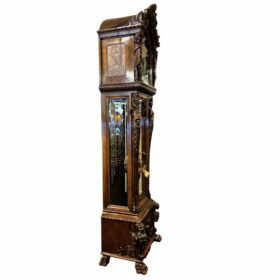 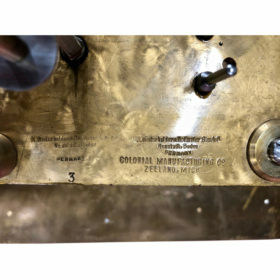 This hall clock by the Colonial clock company is a noteworthy example of American clockmaking. 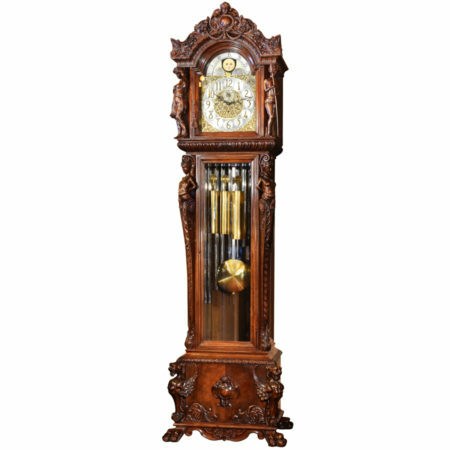 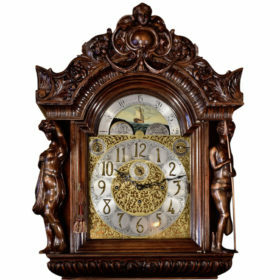 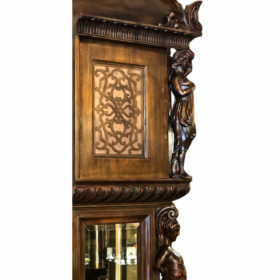 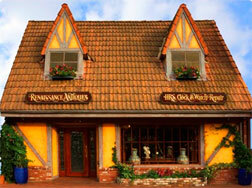 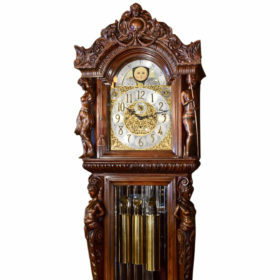 The richly colored mahogany case features extensive figural detail throughout. 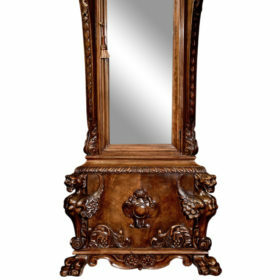 At the hood and waist are full three dimensional figures, flanked by winged griffins at the base. 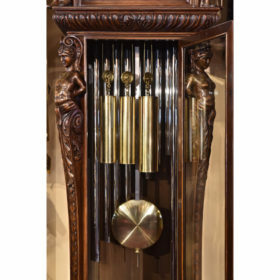 The clock features a rare quarter hour chiming movement playing 4 tunes on 9 tubular bells. 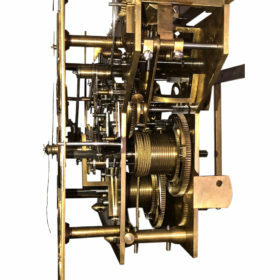 The movement allows for the option for continuous play of St. Peter’s melody. 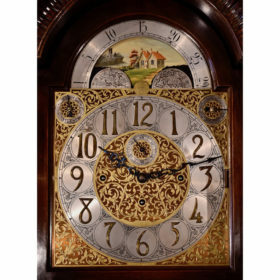 The clock face features a brass and silvered dial accented with Arabic numbers and the phases of the moon.